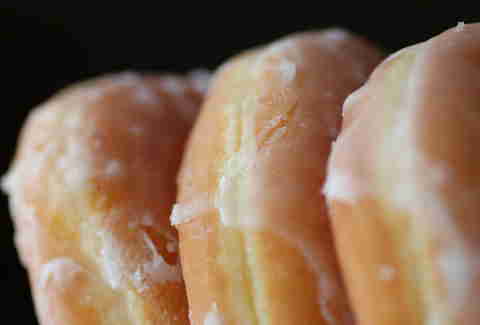 Donuts are right up there with burgers as a food that has inspired intense fandom in Dallas in the last couple years. 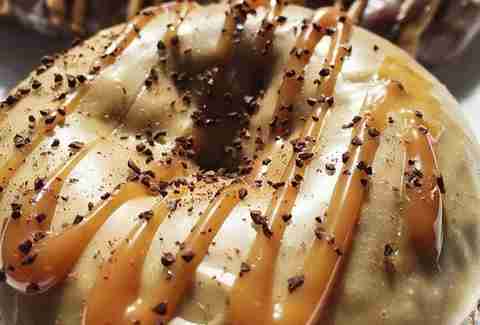 That growing love has led to amazing fried pastry purveyors popping up to satisfy our collective hunger with handcrafted donuts ranging from dense, decadent cake donuts to fluffy raised donuts topped or sandwiched with an ever-increasing variety of rich ingredients. 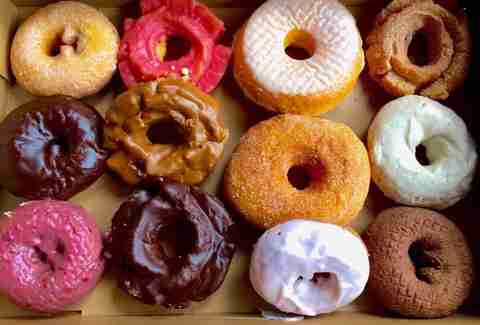 Here are seven great spots for donuts that make us hope DFW’s donut fever never dies down. 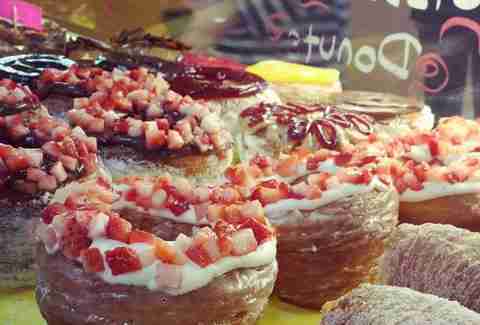 This spot can certainly boast turning out some of the prettiest donuts out there, with fruit, cream, and bacon-topped varieties that look almost too good to snarf. Almost. It’s also one of few places to get those crispy-fluffy croissant-donut hybrids that became all the rage a few years ago, as well as a unique crème brulee that approximates the French dessert right down to the burnt sugar exterior. 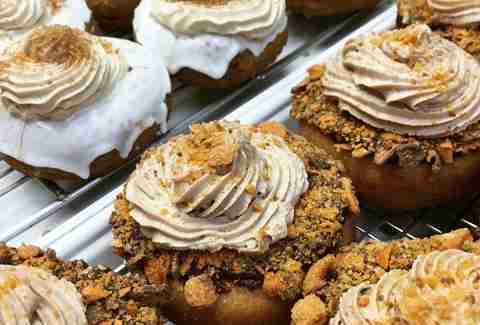 This bakery in the exurbs draws sweets fanatics in for donuts with insanely decadent add-ons. There’s fruit-and-cream-stuffed varieties like the Strawberry Sweetcream, and the Oreo Cake, topped with crushed cookie bits. Based on the season/occasion, limited-time specials pop up on the menu, like the bright-green shout-out to scouts, the Phat Thin Mint. You can load up on all manner of yeast and cake donuts as well as a shortlist of insanely tall breakfast sandwiches on biscuits. But you’ve gotta be sure to try the Canadian Healthcare: this classic long john is traditional in all respects -- it’s long, it’s yeast-raised, it’s covered in maple icing -- but gets kicked up several notches thanks to bacon, the be-all, end-all of garnishes. Austin Tacos Are Overrated Compared to Dallas Tacos. Here's Why. The so-called small-batch donut shop turns out some crazy little pastries, including red velvet/cream cheese and Nutella versions, rotating flavors-of-the-month and TWO Elvis-inspired concoctions (one a donut, one a donut sandwich) starring peanut butter, bacon and banana. 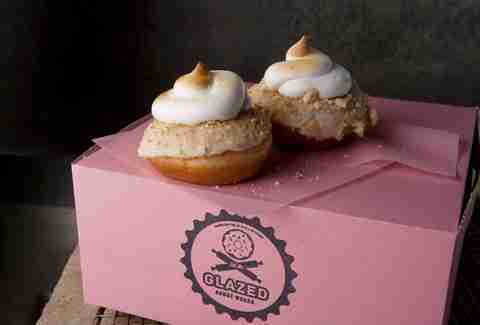 One huge perk is that with its prime location on a major thoroughfare for Dallas nightlife, Glazed opens a late-night to-go window perfect for after-dinner treats. Or, you know... dinner. 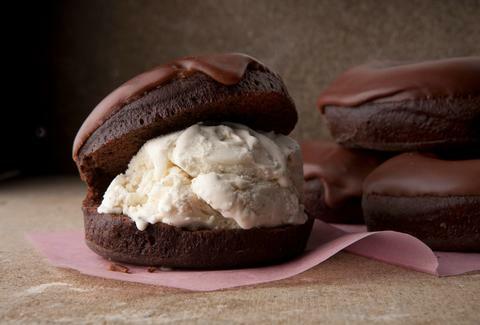 ​Among all the fancy, dressed-up donuts out there, sometimes you just need a good, old-fashioned favorite. This bakery across from SMU delivers, with apple fritters, braids, sausage rolls, glazed donuts and their disembodied donut holes. The favorite here is the blueberry cake donut, so get ‘em while they’re hot. 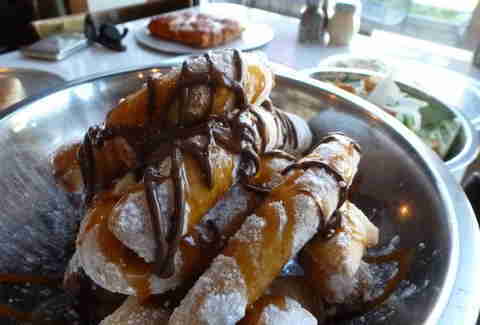 A ubiquitous coffeeshop brand ain’t the only thing Seattle’s brought us: we’ve been graced with Top Pot doughnuts, too. The chain is beloved here and there for rich cake donuts, especially the glazed old-fashioned. But yeasty donuts come filled or frosted, too, and the apple fritter is legend. And this wouldn’t be a Seattle pastry icon if it didn’t have some out-of-this world craft coffee. Farah Fleurima is a Dallas-based freelance writer and unabashed foodie who was almost named Zeppole. Follow her deep-fried musings on Twitter at @TheDallasDiva.